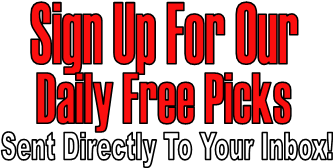 All content provided on www.expertnhlpicks.com is for informational and entertainment purposes only. The owner of this website makes no representations as to the accuracy or completeness of any information on this site or found by following any link on this site. The owner will not be liable for any errors or omissions in this information nor for the availability of this information. The owner will not be liable for any losses, injuries, or damages from the display or use of this information. Any reliance you place on such information is therefore strictly at your own risk. Expertnhlpicks.com is not an online gambling operator, or a gambling site of any kind. We do not endorse gambling in any form. Although we do talk about betting on sports on our website, it is the responsibility of all visitors to expertnhlpicks.com to check current local laws in their own area regarding gambling and gambling online. By visiting our website you confirm that you understand that it is possible to lose some or all monies used when betting on sports or doing any gambling. You cannot hold expertnhlpicks.com responsible for any such losses. Under no circumstances is expertnhlpicks.com or any members of the website liable to any party for direct, indirect, special or other consequential damages for any use of the expertnhlpicks.com website. Some of the links posted on this website may be affiliate links. This website is not affiliated with the NHL or NHLPA. We cannot be held responsible for providing any inaccurate information which is posted on expertnhlpicks.com. Please contact us if there is any inaccurate or incorrect information on our website. Through the expertnhlpicks.com website you are able to link to other websites which are not under the control of expertnhlpicks.com. We have no control over the nature, content and availability of those sites. The inclusion of any links does not necessarily imply a recommendation or endorse the views expressed within them. Please understand that if you visit any website we link to from expertnhlpicks.com you have left our website. We are not to be held responsible for the actions of any website we link to. Expertnhlpicks.com takes no responsibility for, and will not be liable for, the website being temporarily unavailable due to technical issues beyond our control. By signing up for the Premium Picks 30 day pass, you agree to all of the terms and conditions set forth in this disclaimer. You also agree to be charged $29.99 (USD) for 30 days of service.